No superhero collection would be complete without Spiderman! 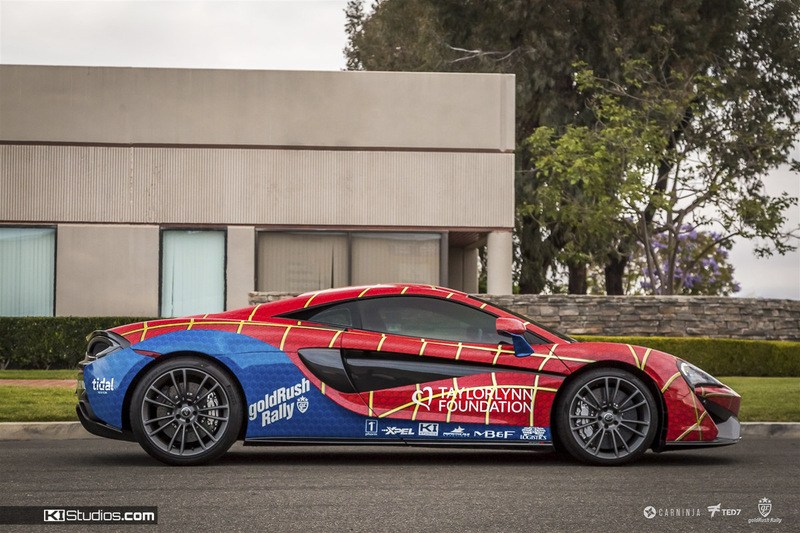 This McLaren 570S disguised as Spiderman, is one of 5 superhero wraps we did for the Taylor Lynn Foundation and Gold Rush Rally 2016. This wrap looks right at home on a McLaren 570S. Spidey senses tingly with headlights perfectly shaped for eyes, ready to swing into action and rescue the damsel in distress at the finish line. 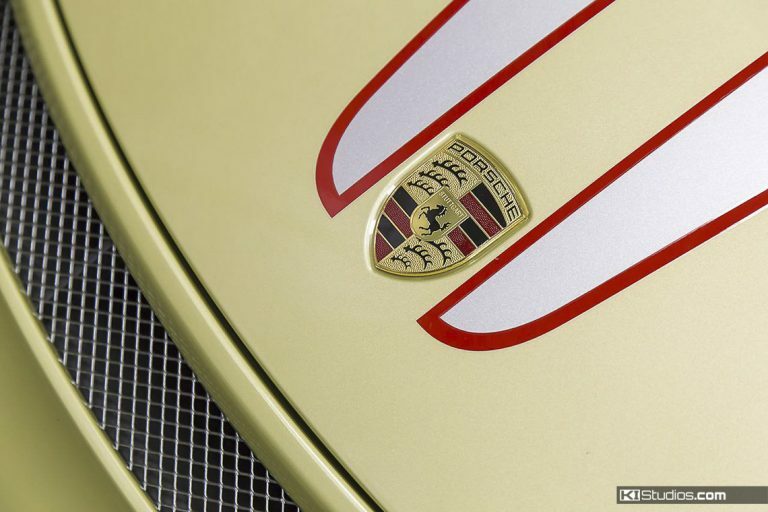 Mary Jane would gladly hop in with you for the goldRush Rally across many states. 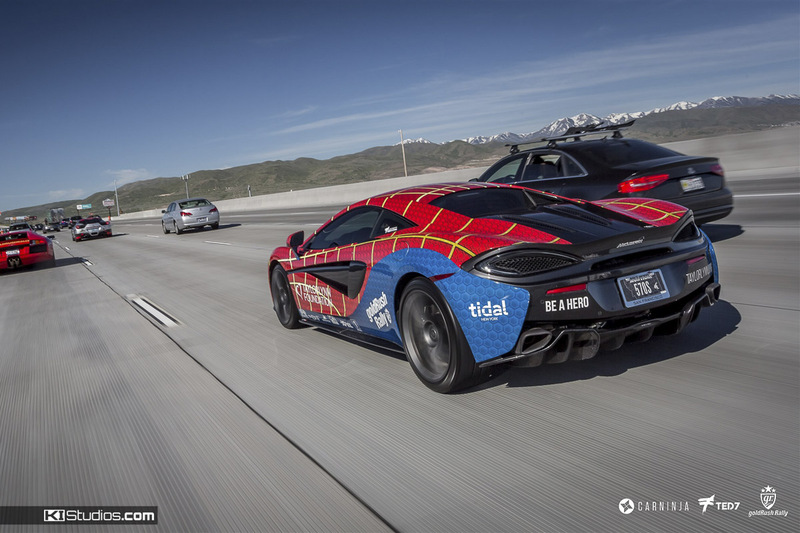 No webs can get in the way of this McLaren speeding down the highway. Our favorite web-slinging hero swings into danger but never gets tangled up in trouble, and it’s hard to see how a wrap this perfect will ever be in trouble either. While Spiderman protects his city, the self-healing clear bar installation guards the paint of this gorgeous supercar. 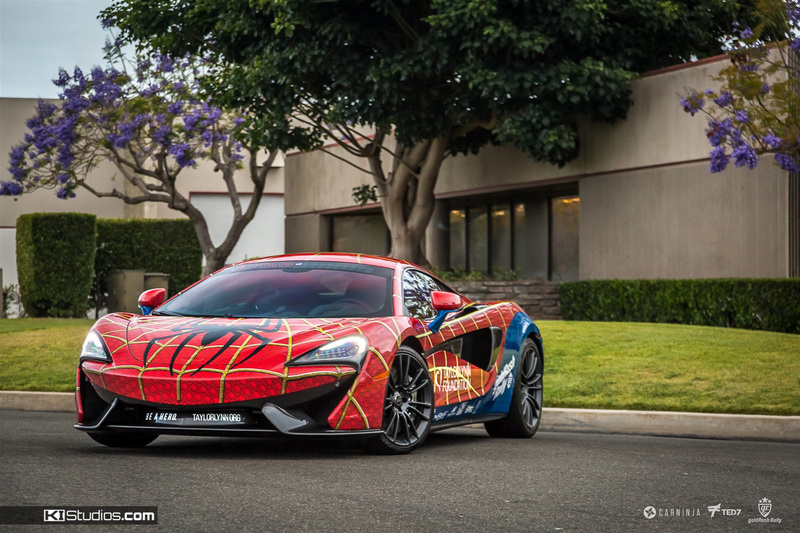 As Peter Parker puts on his mask to become a cool superhero… this cool McLaren becomes even cooler with this Spiderman vinyl wrap. 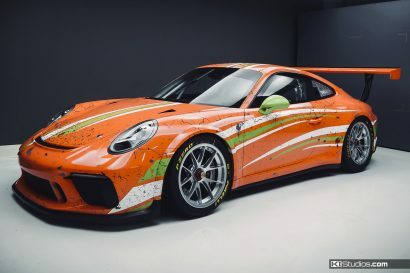 We were honored to make this one of a kind wrap design come to life, from our hearts and minds to beloved memories on screen growing up… here it is today. This wonderful collaboration between KI Studios San Diego for the design and Protective Film Solutions Orange County for the installation represents a perfect partnership, like Peter and MJ. 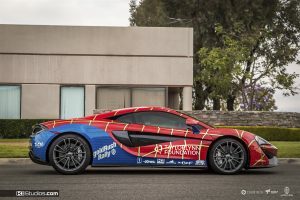 Pictures of Spiderman might not meet deadlines but pictures of the Spiderman McLaren are easy to find. Taylor Lynn Foundation logos placed like a perfectly shot webs. Taylor Lynn Foundation is a hero to children in need, providing them with well-deserved opportunities. Feel free to learn more or donate on their website. There’s nothing radioactive or venomous about spotting this McLaren on the freeway — it’s a pure thrill! 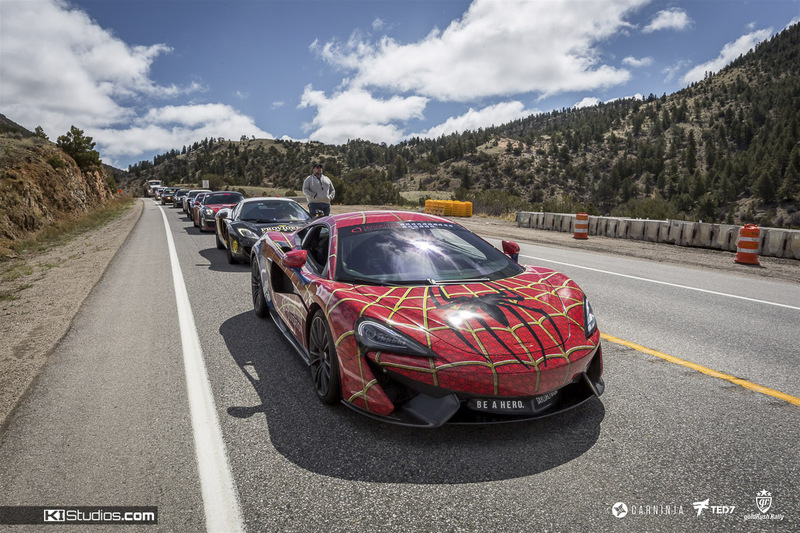 Gravity defying while hill climbing, Spiderman McLaren 570S is a part of a mighty line up of heroes who avenge injustice along the road to victory. Long story short, no gadgets or gizmos needed. 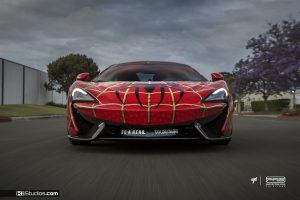 Spiderman McLaren saves the day, gets the girl, and does it all in style. No training wheels protocol required.